The Peel Development Commission is delighted to advise that the Minister has officially appointed Professor Andrew Taggart onto the Board of the PDC for a 1 year term, with official term expiring on 31/12/19. We are extremely pleased to have Professor Taggart back on the PDC Board. He previously served a 2 year term from September 2014 to June 2016 and then again for a 1 year term from July 2016 to October 2017. 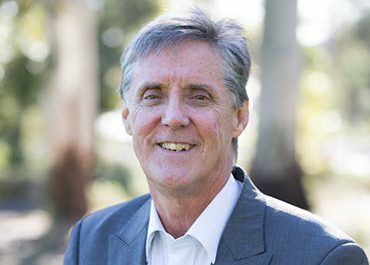 He is also a current Board member of Coodanup College having held that role since 2014. As many of you will already know, Professor Taggart was previously Acting Vice Chancellor of Murdoch University from 2014-2016 and then Provost from 2016-2018. Since finishing up that role, he has been busy travelling and enjoying some time off with family while still remaining involved with work in the research and educational arena. His re-appointment to our Board certainly indicates the Minister’s confidence and support in his level of experience and skills. Andrew is engagement focused and a collaborative leader with strategic focus, energy and policy awareness which will help support the Board in its engagement with businesses and industry.